Hello everyone! 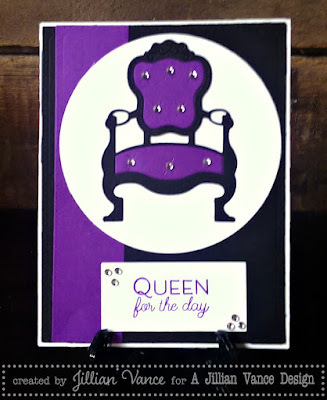 Today I have a card featuring the new Victorian Chair Die. I'm kind of obsessed. It's so versatile, and can be used on cards, scrapbook pages, you name it. Plus, there is a super cute stamp set ~ Chairs To You ~ to go along with it! Below you can find the recipe with all AJVD products as well as the non-AJVD products. I hope this gives you some inspiration, and make sure to post, pin, and tweet us your projects, we'd love to see them!